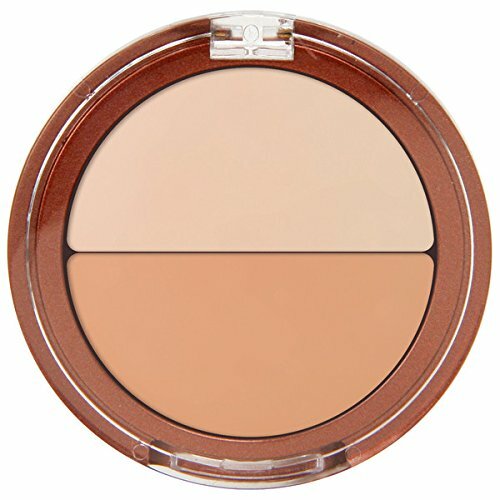 This dark circle eraser concealer instantly creates a radiant, refreshed looking eye area. Infused with goji berry and Haloxyl. Packaging may vary, what you receive may not be what is reflected on site. Instantly erases the appearance of dark circles and fine lines Under eye concealer visibly diminishes the appearance of puffiness Eye area looks radiant and refreshed Anti-aging dark circle treatment contains goji berry and haloxyl to help erase appearance of dark circles and fine lines Step 1. Twist collar of the applicator until the concealer is visible on the sponge (may take some turns on first use). Step 2. Apply concealer to the under-eye area and blend. Step 3. For extreme dark circles, apply the Neutralizer under concealer. Step 4. To add luminosity, apply the Brightener to the inner corner of eyes, cheek, brow bones and bridge of the nose. The Dark Circles Eraser is protected by an anti-microbial system. Do not wet applicator. Wipe off excess eye concealer with dry tissue. 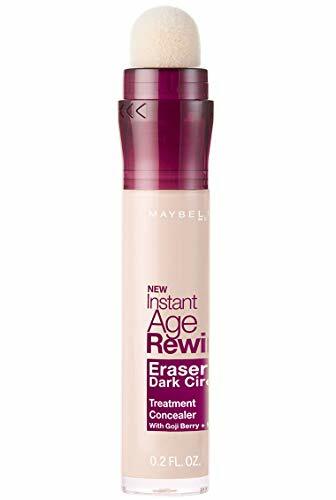 Maybelline New York Instant Age Rewind Eraser Dark Circles Treatment Concealer Makeup, Medium, 0.2 fl. oz. 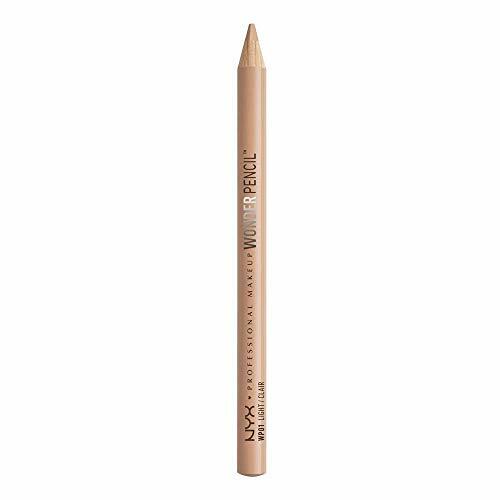 Use the Wonder Pencil as a concealer, simply apply the pencil onto your imperfections and blend with a brush or clean fingers. To use it as a lip liner, line the outside of your lips and then fill in with the Wonder Pencil to make your lip color pop. Flawless that lets the real you come through. It's makeup that doesn't mess with you. No oils. No waxes. No nonsense. Natural coverage that leaves skin the way it was meant to be: fresh, breathing, natural. Exclusive translucent base and lightweight pigments allow skin's natural highs and lows to show through. Non comedogenic, dermatologist tested, ophthalmologist tested, fragrance free. 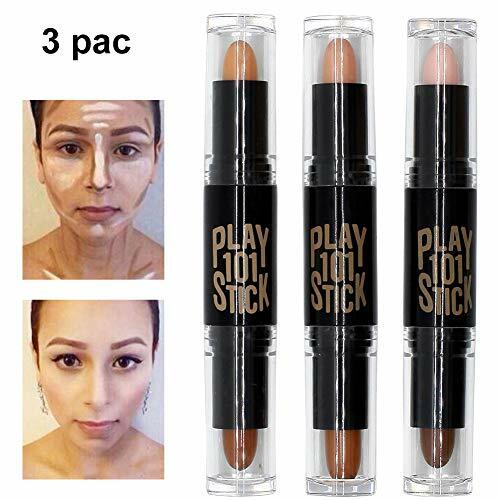 Double-end Highlight Contour Sticks Set Our ultimate full coverage concealer makeup formulated for all skin types including the most sensitive skin. Conceal it all, big to small. BUOCEANS Concealer offers customizable coverage from the tiniest of blemishes to larger areas of imperfections. The tip of the crayon allows for precise application, while the side of the crayon can easily canvas a larger area of skin. The formula glides on smooth and blends easily to blur imperfections and won't look cakey. Buildable Coverage Precise application All over coverage Blends easily Expert Application Technique: For precise application, use the crayon point to cover imperfections. For broad application, glide the side of the crayon for coverage of larger areas. Note: After using cosmetics, it is recommended to use cleaning products to clean your face. If you have questions, please contact us as soon as possible, we will provide you with the best quality of service. Our Double-ended Highlight and contour accentet Contour Stick has a creamy finish that conceals,highlights and contours with ease. Contouring stick with a matte finish..The Double-ended Contour Stick is available in 3 different shade combinations. Deep-color end can be used to paint shadow on the parts of cheeks'sides,face sides,nose sides and hairline,which is helpful to narrow the face to make it shaped more stereo. Maybelline Instant Age Rewind Eraser Dark Circles Treatment Concealer, Ivory, 0.2 fl. oz. Named America's number 1 concealer, Maybelline's Age Rewind Concealer instantly erases dark circles and fine lines. 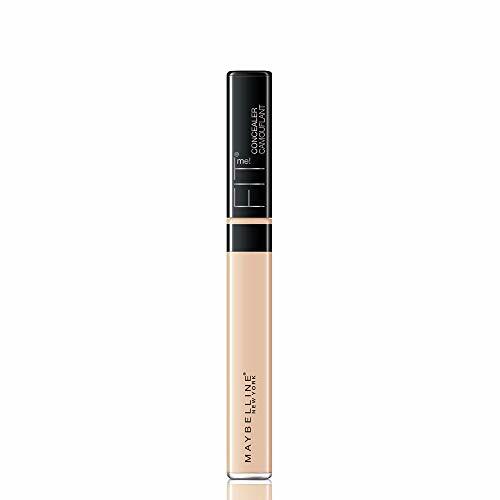 This fragrance-free liquid under eye concealer is also formulated with goji berry extracts and Haloxyl, which is an active ingredient designed to combat the look of dark circles for a more radiant eye contour area. Packaging may vary, what you receive may not be what is reflected on site. 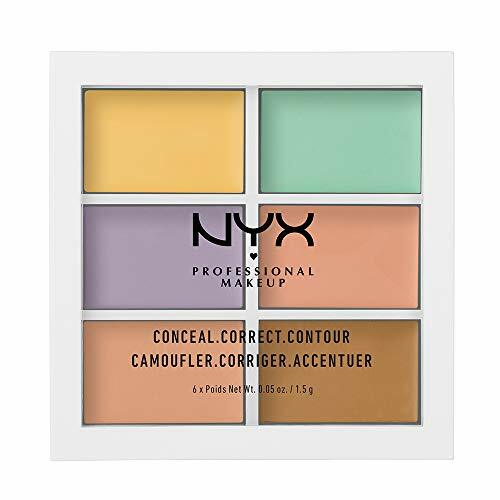 *Based on Nielsen Scantrack Service for the concealer category for the 52 week period ending October 28, 2018, for USxAOC market according to Maybelline's custom product hierarchy. 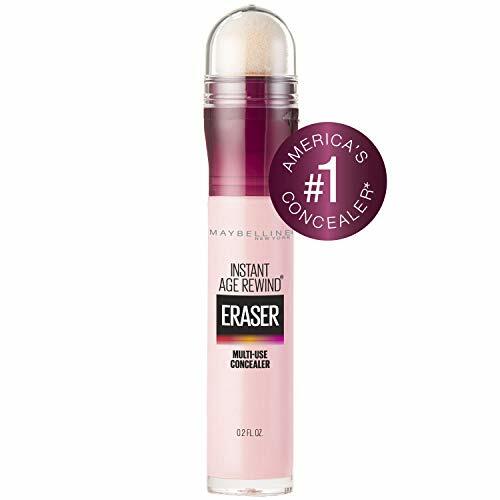 MAYBELLINE INSTANT AGE REWIND CONCEALER: America's #1 Concealer! Erase the look of dark circles, correct the appearance of redness and brighten the look of dull skin with Instant Age Rewind Eraser multi-use concealer. BEST FACE FORWARD: Maybelline has sheer, medium, and full coverage foundation in liquid, stick, and cushion foundation formulas, and a range of concealers, plus face primers, contour, highlighter, and pressed powder to help you create a perfect canvas. 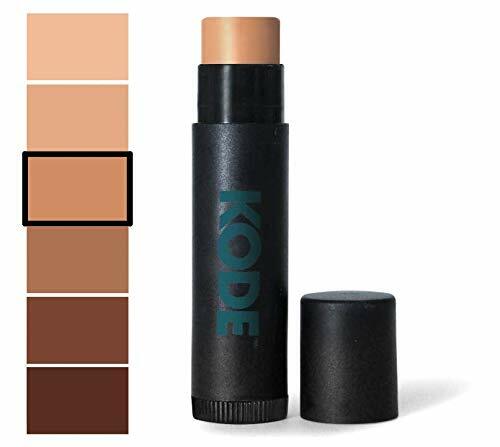 Light-weight, emollient concealer. Provides medium to natural coverage for larger areas of the face. Non-comedogenic formula works on all skin types. UNIQUE DUO-SHADE SYSTEM - A skin-perfecting formula with a unique duo-shade system that lets you custom blend your preferred color to match your skin tone. 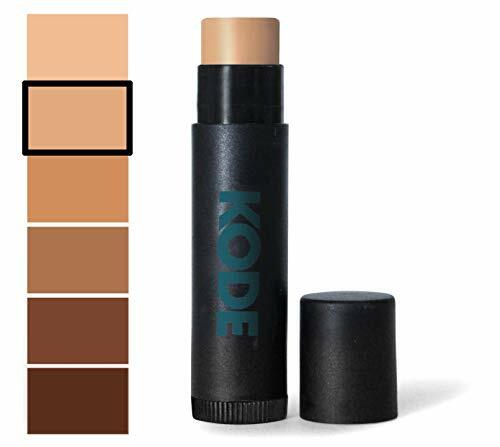 It offers full coverage that seamlessly hides dark, hyper-pigmented blemishes. SAFE AND GENTLE - Formulated to purity with ingredients that are proven to be gentle on the skin. Its non-comedogenic formula is healthy for skin types from normal to oily and won't clog pores. SKIN-NOURISHING - This compact hides impurities effectively while hydrating the skin harmlessly and naturally with no greasy or heavy texture. It is infused with Vitamins C and E, which provides anti-aging effects to retain youthful skin. MULTIPLE SHADE OPTIONS - Features four color shades-cool, neutral, warm, and deep-to match any skin tone perfectly, from fair to deep. Create a custom shade by blending the two. Simply blend onto the skin in light layers until you reach your desired color. Shade 1 is for the lightest, fairest skin tones. CONCEAL AND CORRECT Cover areas of the skin that have discoloration and lessen the appearance of dark circles, cold sores, rashes, acne, scars, bumps, pimples, blackheads and other unmentionables. 6 SHADES AVAILABLE Comes in a range of six natural and easy to blend shades. COMPACT Ideal size for travel, gym bag, glove compartment, pocket, dopp kit, anywhere you stash. Our coverup stick is comparable to the size of a tube of ChapStick. GREAT VALUE Small amounts will go a long way. ADDITIONAL BENEFITS: matte finish, long-lasting, fragrance free, mineral based. EASY TO USE Applying small amounts over area and blend until tone is more even. Reapply additional layers if needed. Shade 2 is for light to medium skin tones. If shade 1 is too light, and shade 3 is too dark, this is shade for you. 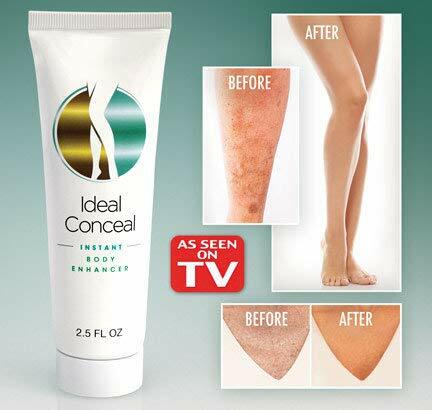 Ideal Conceal As Seen on TV- Get instant flawless and youthful looking skin! - Cream for legs and entire body - NEW!! IDEAL CONCEAL makes skin imperfections vanish like magic! Conceal freckles, bruises, varicose veins, age spots, scars, tattoos and more. Water- and transfer-proof formula in two shades provides instant coverage and even color for a healthy, radiant look year-round. For all skin types. 2 oz. tube. Shade 3 is for medium skin tones. "Cover a multitude of 'skin sins' with LAST & FOUNDATION CONCEALER! Our long-wearing, high-coverage formula hides dark circles & imperfections all day and remains comfortable & crease-free on the skin. Use with our LAST & FOUND[ATION] 24+ Hour Flawless Coverage Foundation to ensure ultimate skin perfection and a beautiful canvas for your makeup look. How to Use: Squeeze a pea-size amount of LAST & FOUND[ATION] CONCEALER onto finger, WUNDERBLEND sponge or directly to the target area. Blend evenly into the skin. For best results, use a damp WUNDERBLEND sponge. 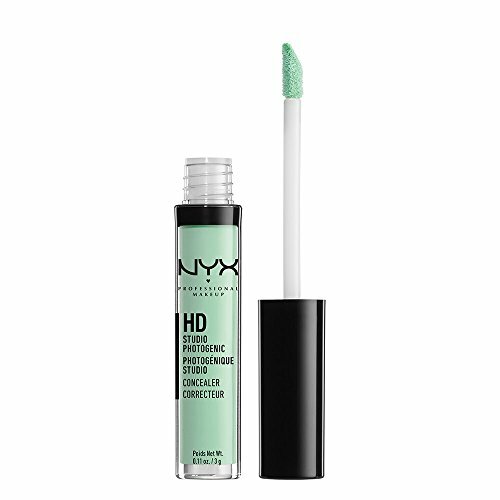 Can be used on any blemishes, imperfections, discoloration and underneath the eye area." Provides high coverage that is water-resistant, transfer-resistant and smudge-proof all day. Remains flexible and comfortable on the skin, meaning it 'moves' with the skin rather than 'masking' it. Gives a natural glow and illuminates contours, leaving the skin looking flawless. It grips other makeup products applied on top of it - making them long-wearing too. Vegan & Cruelty Free Make Up. Made in USA. L.A. Girl Pro.matte mixing pigment- blue, 1 fl. oz. L.A. Girl Pro mixing pigment - Extending the shade range of the matte foundation. Now, complete with 4 foundation mixing pigments - white, yellow, orange, & blue. Pro artist can create & color correct an array of shades while anyone can custom mix their exact shade. Its wrinkle fighting, collagen-boosting peptide helps firm skin while age-defying antioxidants vitamin C, pomegranate, and lavender help skin youthful and glowing. Flawless liquid coverage with light-reflecting minerals effortlessly blends to brighten and conceal under eye circles and hyper-pigmentation. 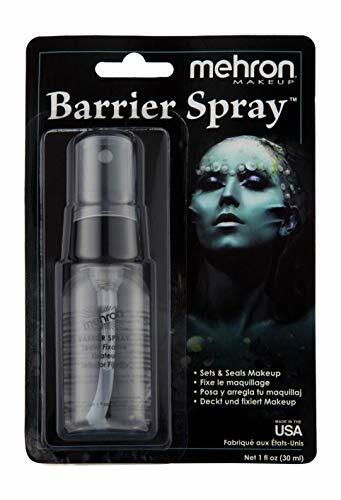 Great for use on all skin types. 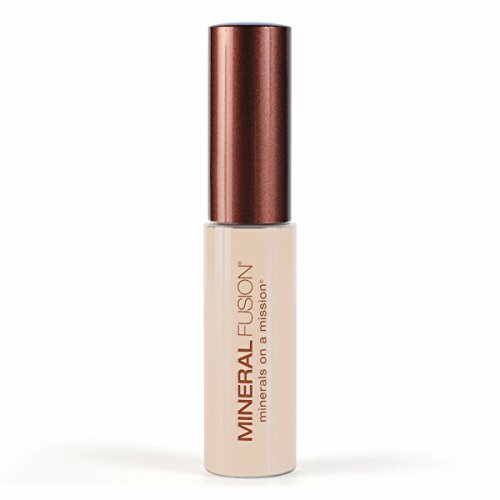 FLAWLESS COVERAGE - Look flawless and radiant with Liquid Mineral Conccealer! 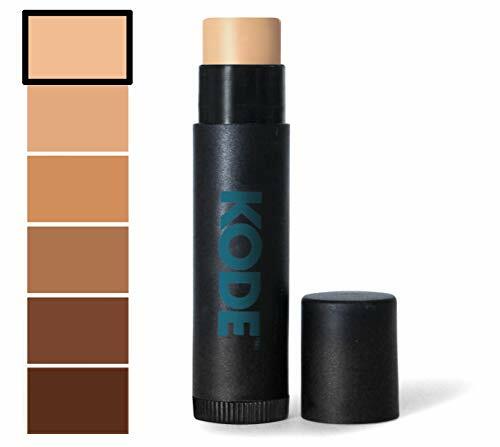 Our creamy yet lightweight formula instantly brightens skin and conceals hyperpigmentation. The stunning result is soft, smooth skin that never looks cakey. SKIN-NOURISHING INGREDIENTS - Formulated with only the safest and gentlest ingredients, this liquid concealer is free from parabens and contains skin-soothing Licorice Root, Aloe Vera, Lavender, and Shea Butter. Perfect for use on all skin types! 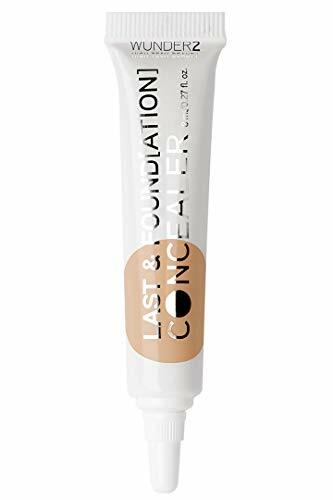 SAFE AND GENTLE INGREDIENT FORMULATION - This non-comedogenic Liquid Concealer is made with natural mineral extracts that nourish the skin without clogging pores. 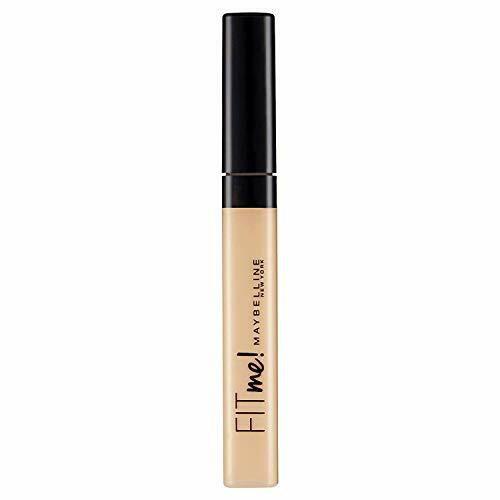 Normal to oily skin types can safely use this Liquid Concealer for flawless, natural-looking coverage. CONTAINS AGE-DEFYING INGREDIENTS - A potent, unique blend of antioxidants such as Pomegranate and Vitamin C fight aging and free radicals for healthier skin that has that enviable youthful glow. An elasticity-promoting peptide helps firm the skin and prevent the appearance of fine lines and sun spots. MULTIPLE SHADE OPTIONS - Four different shades ensure a perfect liquid foundation for everyone: Cool for fair skin with pink undertones, Neutral for fair or medium skin with neutral undertones, Warm for medium skin with golden undertones, and Olive for tan skin with green undertones. Our wide range of complementary shades is made to suit fair to deep skin tones. L.A. 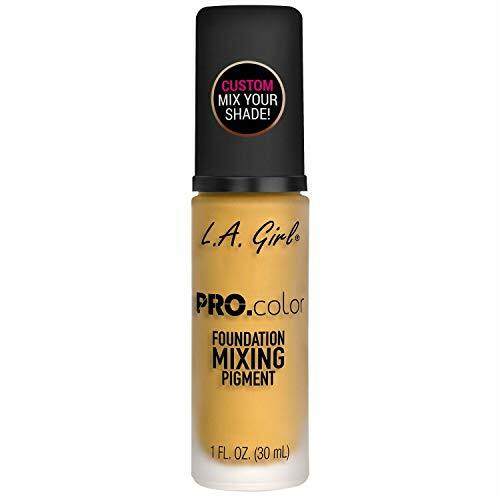 Girl Pro.matte mixing pigment - yellow, 1 fl. oz.